The present document specifies general policy requirements relating to trust service providers (TSPs) that are independent of the type of TSP. It defines policy requirements on the operation and management practices of TSPs. Other specifications refine and extend these requirements as applicable to particular forms of TSP. The present document does not specify how the requirements identified can be assessed by an independent party, including requirements for information to be made available to such independent assessors, or requirements on such assessors. 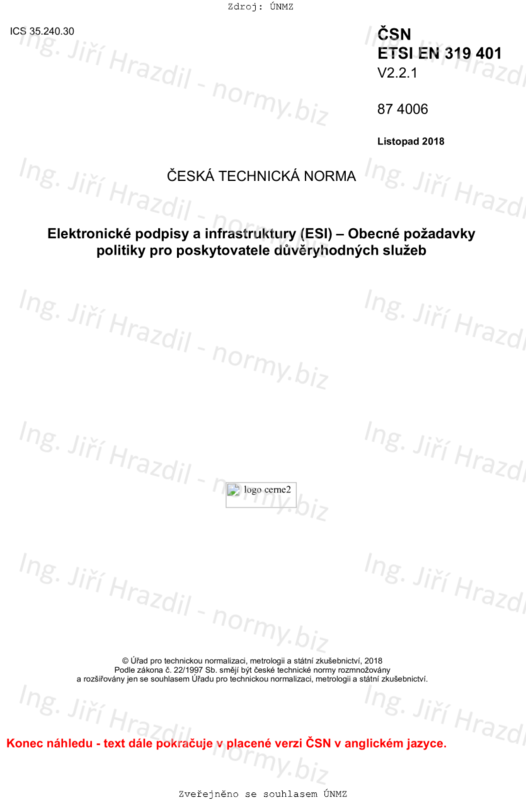 NOTE: See ETSI EN 319 403 [i.6]: "Electronic Signatures and Infrastructures (ESI); Requirements for conformity assessment bodies assessing Trust Service Providers".